Battery Breakfast is a blend of whey protein concentrate and finely ground oats. This great tasting and easy mixing formula provides 19g of protein and 22g of low GI (glycaemic index) carbohydrates, 3,3g of fiber and only 1,6 g of sugar in each 50g serving. Battery Gainer is a recovery product that gives you all that you need for maximum weight gain, muscle development, energy storage and recovery! It consist of 76% carbohydrates and 16% whey protein. It is easy to mix and has a fast uptake to your muscles. A must have to gain in weight and muscles. Battery Gainer also has extra added Creatine monohydrate, L-glutamine, L-leucine and Fiber. Added Creatine monohydrate, L-glutamine and L-leucine. Micellar Casein is the best type of protein to be consumed before bedtime, as during sleep your body will be in a starvation mode and will start to breakdown your muscles. Micellar Casein can be used also during the day, when you don’t have time for a regular meal or as a replacement for unhealthy dessert with too much sugar. 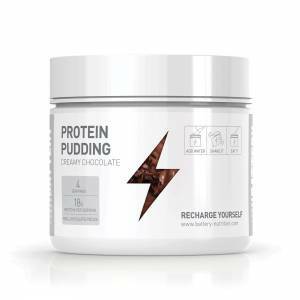 Our protein pudding contains minimum fat and carbohydrates – because we know how hard it can be to control macros, whether you are preparing for a competition or just for the summer holidays. The comprehensive Amino Acid blend contains BCAAs and the essential amino acids, L-Leucine, Taurine and Citrulline Malate to help build, recover and sustain lean muscle. It supports energy & focus at any time of the day as well as recovery before, during & after exercise. Advanced 10g amino acid formula designed to help keep your body in a constant anabolic state. Amino acids provides you with versatile, nutritional support for any type of workout regimen. BLADE FUSION4 perfectly nourishes the body with 4 high-quality proteins (WPC, WPI, wheat protein, milk protein) with the effect of gradual absorption. It is a complex protein provides a gradual protein source for your body during a day when you need a serving of protein with prolonged effect (especially if you are not able to eat for a longer time). BLADE PREDATOR BEEF is a non-dairy source of protein, is 100% hydrolyzed beef protein sourced from bovine and made from beef. It also has a low fat and sugar content which makes it an ideal choice of protein for anyone looking to reduce fat and sugar content in their diet. 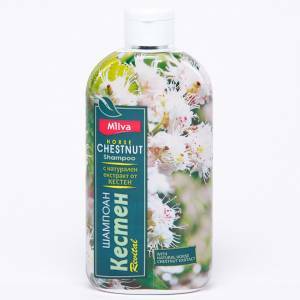 It has a comprehensive amino acid profile providing all the essential amino acids. KFD Premium Beta-alanine is 100% pure beta-alanine, which is a part of the carnosine, a dipeptide stored in the muscles. The antioxidant properties of carnosine reduce the toxicity of reactive oxygen species and its chelation effects reflect the reduced toxicity of metal ions. KFD Premium BCAA Instant + is an amino acid complex that contains leucine, valine and isoleucine with instant solubility. Leucine, valine and isoleucine, better known as BCAA, are chain branched amino acids that can not be synthesized by the body and must be obtained from food. 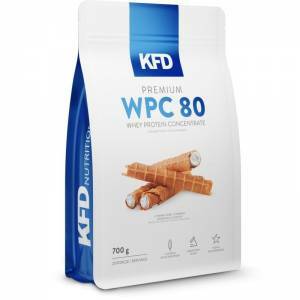 KFD PURE Tyrosine – is a completely natural product – free of flavors and sweeteners, high quality raw material without unnecessary additives. The product is suitable for mixing with other additives. Athletes and fitness enthusiasts all across the world have come to rely on casein supplements as an essential source of protein. Just like the popular whey protein, casein is extracted from milk and has everything it needs to ensure the maintenance and growth of muscle mass. Whereas whey is typically taken as a fast-release protein fix, casein is released slowly for a steady supply of protein that is ideal for when you are unable to get a protein fix for a longer time. To meet the demand for a no-nonsense casein supplement, our team of experts stuck to the motto “Keep it simple. Keep it real.” which led to the creation of a straightforward casein supplement that will keep your muscles fed for hours on end: 100% Real Casein. Prozis produces this superior whey protein supplement using optimised manufacturing procedures, supplying it directly to you with no middleman or third party involved. This way, you get the highest quality at the most competitive price in the market. Guaranteed. As you know, muscles need protein to grow and stay big, and strong. But, do you know how proteins are made? Proteins are large, complex molecules made from long strings of units called amino acids. Proteins are chains of maximally 20 different amino acids held together by peptide bonds. However, not all have the same impact when it comes to turning protein into muscle tissue. As protein is one of the most important nutrients in our bodies, we must not forget what makes it up: the amino acids. Proteins are chains of maximally 20 different amino acids held together by peptide bonds. Beta-alanine is an amino acid that plays an important role in the synthesis of carnosine, a dipeptide responsible for controlling cell acidity levels. In other words, during your training sessions, especially high-intensity ones, your body produces metabolic residue, such as hydrogen ions.